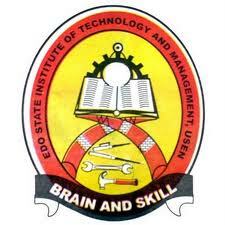 Edo Poly Convocation Ceremony – Edo State Polytechnic (Formerly Edo State Institute Of Technology And Management) maiden convocation ceremony schedule and notice on payment of convocation fee for graduands. You are invited for the first convocation ceremony in Edo State Polytechnic (Formerly Edo State Institute Of Technology And Management) holding on the 28th of November to 2nd of December, 2018. The main activity takes place on Saturday the 1st of December 2018. Graduands from 2009 to date can log into their profile using the new portal click. Make payment in your profile by using the payment item called ND convocation fee, amount is (N16,500) or HND convocation fee, amount is (N23,000).